1. Heat the ghee in a pressure cooker. 2. Add the cumin seeds and asafoetida. 3. When he seeds starts spluttering add the split green gram. 4. Saute for 2 minutes. 5. Add turmeric powder, salt and 3 cups of water. 6. Mix well and close the pressure cooker. 7. Cook till 3 whistles. 8. Remove from heat and allow the pressure to release slowly. 9. Mix the green gram mixture with a ladle and serve hot with steamed rice. 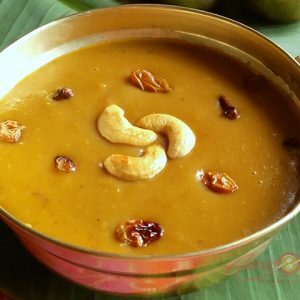 Feel free to comment or share your thoughts on this Khatti Dal Recipe from Awesome Cuisine.